Budget – A “Surplus” of “Deficits”! I tend to believe these days that the meaning of Budget is just close to the 4th one mentioned above. It’s intriguing to find out why is there such a fuss over what should be normal hisab kitab? Well, some of it I guess is historical and rest mostly hysterical. In the pre-lib era or during the license permit Raj, budgets were meant always to give bad news about increasing income taxes, raise in excise duty and what not. So, no wonder in that time people were pretty anxious about the budget pronouncements and speculations were rife of price rises. However in 1991, what is regarded as a watershed budget presented by the current Prime Minister Dr. Manmohan Singh, path breaking reforms were announced. From then on I guess the normal presentation of income and expenditure for the forthcoming year has turned out to be the Govt.’s Annual policy statement. The result is that once the budget is presented, discussed (so we believe) and passed, all the ministries in general and the finance ministry in particular stop thinking for the rest of the year. So much so that Feb/ Mar is the only period where we can get to see the Hon. Finance minister talking of growth, numbers,.. and for the rest of the year he becomes the Hon. Minister for Fire Fighting! People expect that when the FM rises to the present the Union budget, he rises to the occasion and delivers a path breaking budget year after year. However in the last 10 years or so we have been only seeing unimaginative, tepid budgets being presented which has no vision or a game changing road map for the country. Is it that the scope of reforms to be carried out is over and the job is all done? Nope. What’s the status in Mar 2012? 1 year has passed since and we don’t seem to have made any progress and with this it is 5 years since we started talking about migration to a common Goods and Services Tax in India. If only a quarterly stock taking of such important steps happens, I’m sure these can be expedited. Manmohan Singh who created history as a finance minister had (or still has) the opportunity to make history once again this time as Prime Minister. Instead of getting choked under the pretext of “coalition pressure” and allow the country to explode, if he can use his economic mind as a “Safety Valve” , he will avert a disaster and make it to headlines of history. Talking of headlines, that even the FM is nervous about the headlines he makes the next day can be borne out by the last lines in his 2012 budget speech – “Whether or not today’s announcements make tomorrow morning’s headlines matters little, as long as they help in shaping the headlines that describe India a decade from now”. Well one hopes that Pranabda is prophetic on this one. P.S: As I draw close to this lamenting piece, I get reminded of an interesting episode which I would like to share on a lighter vein. In our B School in 1990, as part of the Perspective Management course, one of the assignments given was to create the Economic Times newspaper of 10 years hence i.e. dated 1st Mar 2000 (the next day of budget). While we all drove our creative horses all over the place to create futuristic content for the Eco times newspaper our professor while reviewing our creations said “you never know, in year 2000, the newspaper may be dead and you may just have a video cassette!”. Well, we are now in 2012. The more things change, the more they stay the same. The Eco times newspaper is alive and kicking and comes up with a monster of an edition the next day of the budget! The big change of course has been the online edition! One hopes that in my life, I can see the FM walking hands free (and not with his trademark brown briefcase) into the parliament and makes a budget speech from a Nano pen drive or some such uber cool device!!! 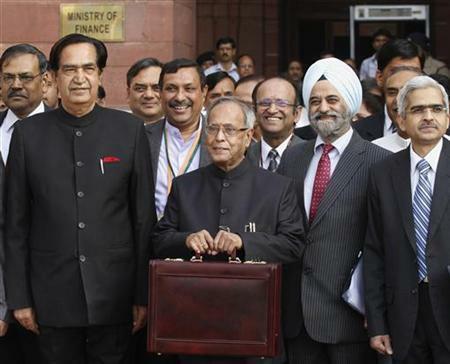 I realised that this brown briefcase is also a colonial hangover from the British which we have not got over ! 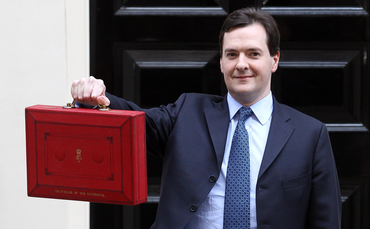 Look at this picture of George Osborne, the Chancellor of UK posing on the “Budget Day”!!! I only hope that our FM doesn’t copy Osborne’s tax proposals as well. In this year’s budget, Osborne has imposed what is now called as stealth “Granny tax” whereby anyone retiring from April 5, 2013, will be stripped of the tax break introduced by Winston Churchill in 1925 !!! India’s Senior citizens beware ! 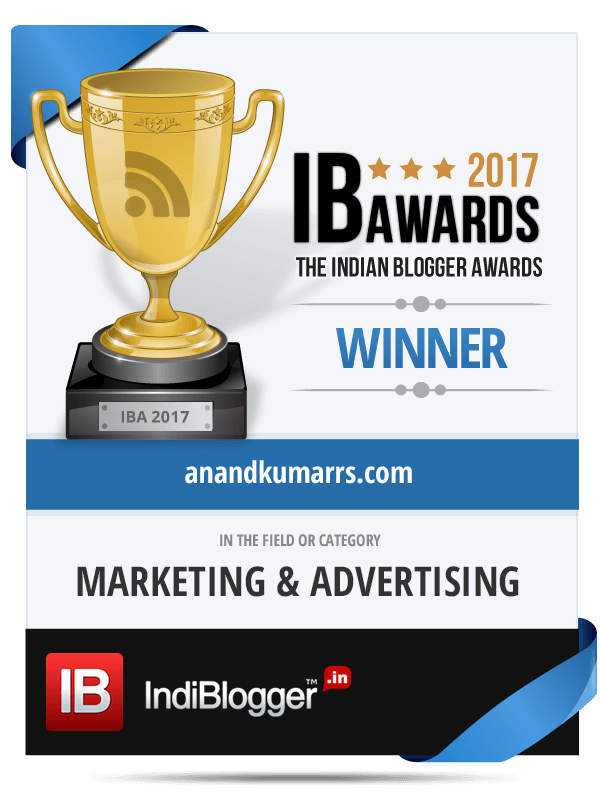 IIM – Has the time come ? Pardon me if I led you to believe that this piece is on the B school brand. I will leave that to the erudite. The “Indian Instincts of Management” is what I am trying to figure out here. For years, one has been fed with theories and stories about the American Way and the Japanese style of management. The success of American brands in the post capitalist era and the Post war economic miracle in Japan made the world sit up and notice and assiduously look at the reasons for their success. Thereby emerged the distinct management styles being adopted by American and Japanese companies. At a time when we are the 3rd largest economy and poised to overtake Japan in terms of GDP by 2032, do we have a distinct Desi Management style which can be touted as our success mantra? To answer this question, I would like to quickly re-cap the salient aspects of the American and Japanese styles of management. It’s all about marketing and packaging baby! Long term one is sold or dead, let’s discuss about this quarter! Post liberalization India is now home to many multinational subsidiaries. But for the sake of this discussion, we are looking at the home-grown successful Indian companies and how they manage their business to see if a pattern of a distinct management style emerges. Business is a family. Employees are like family members. Firing doesn’t come easily. In business, relationships matter. Building trust becomes critical to build relationships. We are most flexible. Being flexible in our approach prevents us from getting overwhelmed by any serious business situation or challenge. We Plan. We Execute. But execution may not be as per the plan. So cost over-runs, delays in completion, Quality compromises, mid-course changes are all part and parcel of our execution. Tom Peters in his seminal management work “In Search of Excellence” talked of “Stick to the knitting” as one of the 8 themes which is – staying with the business you know. Our own management guru the late C.K.Prahalad goaded organizations to develop their “Core competency”. However if you see the cream of Indian corporations from Tata, Birla, Godrej, Reliance, TVS and now to the new kids in the block like Adani, Sahara, .. their core competency is “Not sticking to the knitting” and they have all been mighty successful! This I feel is an important aspect of Indian Management which shows that we have very high risk profiles, quick learners, flexible and very pragmatic in decision-making. What others see as complex issues – we handle it with our left hand. Things like taxation provisions, governmental procedures,.. which spins the head of other nationalities are like kindergarten stuff for us! Indian companies’ attitude towards Ethics reflects their flexible outlook and pragmatism which I’ve outlined above. For most Indian companies, following ethical practices is borne out of convenience rather than conviction. Follow ethics if you have to or when you will get caught! Though I’m not too sure of this but I would like to mention this here about Innovation and Indian companies. My two cents on this is that Indian companies at the outset are skeptical about innovation. Marketing is not our forte, but we are not bad either. We are yet to throw globally recognizable brands except a few like may be “IIT”, “Yoga”, “God’s Own country”, ..But we are getting there. Having said all this, has the “IIM” arrived? I guess not yet. But it’s not too far either. For Desi style of Management to get into the case studies of Harvard or IIM, it’s vital for the Indian corporations to emerge visibly successful in the global arena. That’s why it’s imperative for the NANO to be a “big” hit or Arcelor Mittal to stay solid or for that matter Aditya Birla to “shine” worldwide. Incidentally I just read today that the “5th P of Marketing” – Philip Kotler on a visit to India yesterday says, “The World awaits Indian dream” ! !